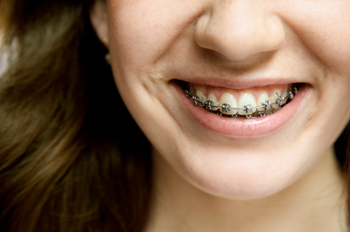 With traditional braces, it is very important that you practice good oral hygiene. Plaque tends to build up rather quickly around the bands, wires and brackets. If you are not careful, this can end up triggering other dental problems sooner rather than later. To prevent cavities and gum disease, it is essential that your braces and teeth are cleaned properly and thoroughly. It is not enough just to clean with the regular toothbrush; cleaning the braces often requires using an extra device. Fortunately, you can get all the advice you need from your orthodontist or dentist. If your braces are removable, ensure that you brush them thoroughly using water and a toothbrush before fitting them back into your mouth. As an orthodontist, I would advise that you book an appointment with your orthodontist or hygienist and get your braces cleaned professionally to achieve the best results. Manipulating around the machinery might be a little tricky, even for hygienists, and this is where the skills of an orthodontist usually come in. A water jet can be of great help in cleaning traditional braces, particularly for those suffering from gingivitis. It is a no brainer that you can’t keep visiting your orthodontist to have your braces cleaned every time you have a meal. Therefore, I would advise that you do it yourself. Remember that gingivitis forms in less than 48 hours and you will thus need to often brush and floss your teeth and braces thoroughly. Before starting, rinse by swishing some water around the mouth, spit and then repeat. This will help remove those food particles that may be clogged on your teeth. Rinsing your braces with warm water is something that I greatly recommend. Turn your toothbrush downward and brush back and forth thoroughly and also brush along the top part of the braces. Gently flip the toothbrush and repeat the same along the bottom of your braces. This will help in removing the plaque formed close to your gum line and will also help in dislodging food particles that are directly stuck on the top of the braces. In addition to brushing, I would also advise that you gargle with salt water at least twice a day, both in the evening and in the morning to help kill any germs and gingivitis that may be present.